From the geological point of view, expertise was required in the construction of canals to carry materials such as coal and other ores, stone for building and grain to help feed the growing populations of certain cities that were becoming increasingly industrialised. And it was in this pursuit that William Smith made his mark and developed his ideas about the distribution of the strata of southern Britain. Smith's knowledge was built up through years of practical experience as a freelance civil engineer and surveyor, working on any project that would provide some income. From sinking wells for water and trial shafts for coal to cutting canals and land evaluation, he travelled the length and breadth of the country from one job to another. The 1790s and first decades of the 1800s were a period of growing industrialisation and an intensifying search for coal, with as we have seen large sums of money being wasted sinking shafts through strata that would never lead to coal deposits. Transport of bulky raw materials like coal and building stone was much more efficient and cheaper by water. Unfortunately, few of the country's rivers were navigable and so a network of canals was developed, but building canals is a very costly business. 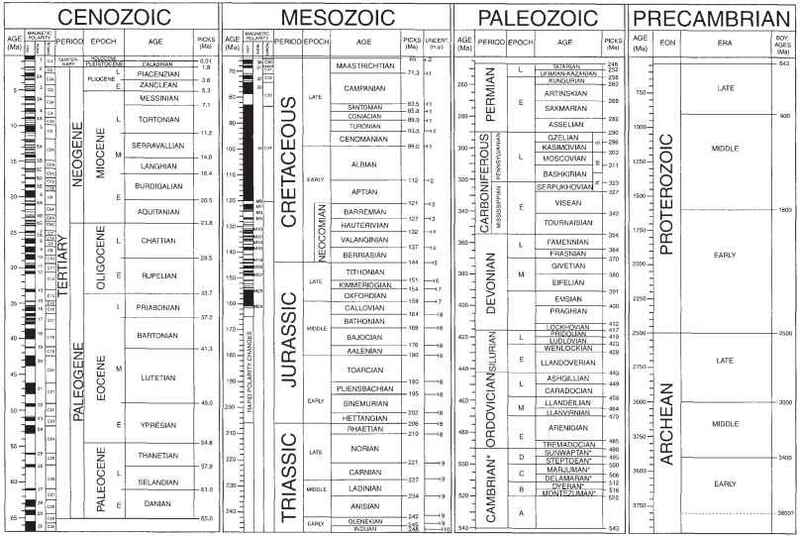 Being able to predict the underlying geology before construction started could save huge amounts of money. The trouble was that there were very few useful geological maps available in the 1790s. Nevertheless, there was information that had been gathered and occasionally documented so that even Smith had something to build on. For instance, information about the coal seams and other related strata in the Somerset coal field south of Bristol had been published by John Strachey as long ago as 1714 and he also described those of Northumberland in 1725. 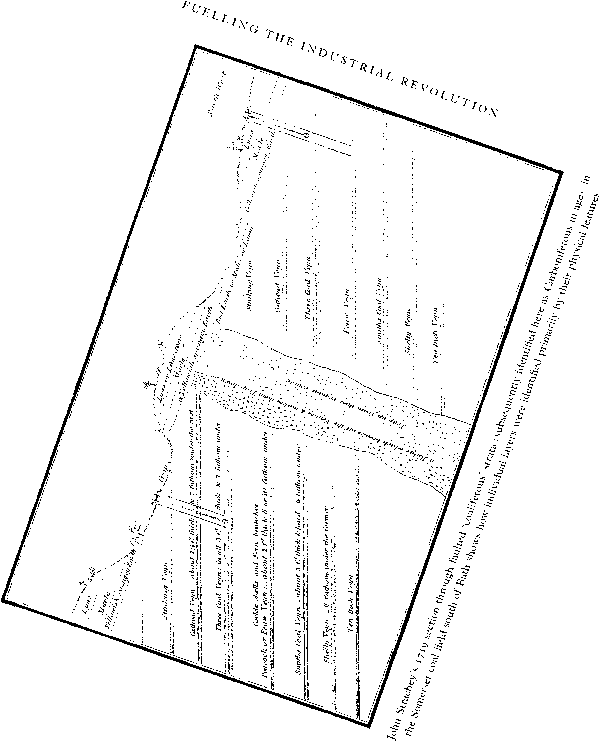 A diagrammatic vertical section cutting through some 82 m (250 ft) of the former showed eight inclined seams of coal beneath horizontal layers of 'red earth or malm or loom', 'yellowish spungey earth', 'marie' with 'lyas or limestone' on top. The coal seams all had individual and characteristic names given them by the miners. For example, the 'stinking vein' was probably so called because it had a high sulphur content and smelled of rotten eggs (hydrogen sulphide gas), and 'three coal vein' had three thin, closely spaced coal seams. Strachey also noted the depths of the seams and the occurrence of fossils - 'cockle shells and fern branches' in some layers. John Strachey, 1671-1743, Oxford-educated antiquarian who studied law in London (1687-8) but took an interest in coalmines and minerals and published some of the earliest cross-sections of underground strata and a map of Somerset in 1737, which located its coal and mineral deposits. Today we can recognise the succession extending down from Jurassic oolitic limestones through the Lias strata early Jurassic age, the Rhaetic marly passage beds between Jurassic and underlying Triassic, and then the soft red strata of Triassic age. The angular discordance between these younger horizontal layers and the older and inclined coal deposits has great temporal significance. strata as a landscape surface on which Triassic-age terrestrial deposits were laid down.